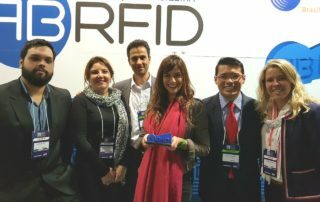 The payment wristbands created by Valid won the first-ever ABRFID award, in the Manufacturing category. Valid is recognized as the company with the best value-creation model, through four criteria: liquidity and qualitative indicators, shareholder return and financial robustness. Valid USA, and its Los Angeles based affiliate MSC, is honored to accept an award as a finalist in the 2015 Analytics Challenge, powered by the Direct Marketing Association’s (DMA) Analytics Community. The award was announced at the DMA’s annual conference, &THEN, on October 6 in Boston, MA.